Something is stirring in the world of Anthem, and it’s venturing beyond the realm of gaming. Director Neill Blomkamp, who’s helmed films such as District 9 and Chappie, has developed a live-action Anthem project, titled Conviction. Following teases from Blomkamp and his Oats Studios, Electronic Arts confirmed the news with a teaser. Check out the teaser trailer below. It is brief, but reveals that the full “live-action story” will go live on February 14, 2019. This may be the perfect way to kick off Valentine’s Day. Apparently, the partnership between Blomkamp and EA has been in the works for quite a bit of time. A tweet from the director in 2017, in which he shared his excitement about Anthem, prompted the two to come together. The results have manifested in Blomkamp’s independent film studio, Oats Studios, taking on an Anthem project that explores the game’s world years ahead of the narrative BioWare will tell. Interestingly, this is not Blomkamp’s first time adapting game narrative in such a fashion. Many may recall that in 2007, he directed the Halo: Landfall short. Fans can see how Conviction fares by comparison on February 14th, when the short premieres on Oats Studios’ official YouTube channel. 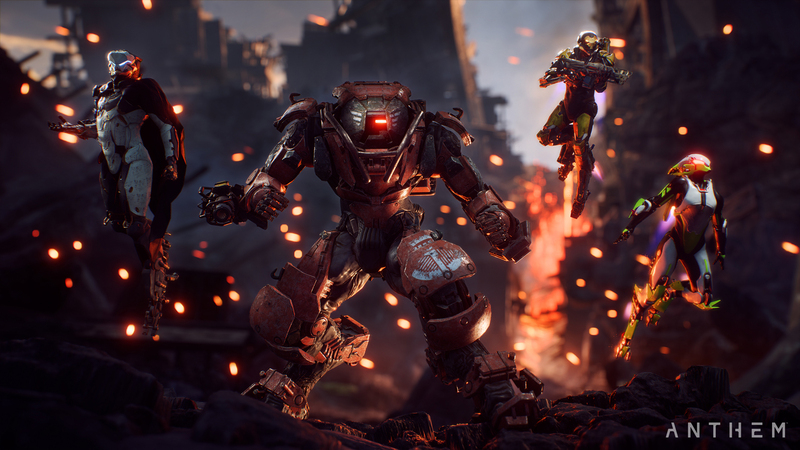 After two demo sessions across two weekends, Anthem seems perfectly primed for its impending release. With a number of day one fixes planned, in addition to fan requests being tackled early on, the game could prove successful right out of the gate. Anthem will arrive on February 22nd for the PlayStation 4, PC, and Xbox One.